Built to support loads up to 14,000 lbs. Top is 1/4" thick steel welded to 3" channel frame. Legs are 3 x 3 x 3-1/6" solid steel angle iron. 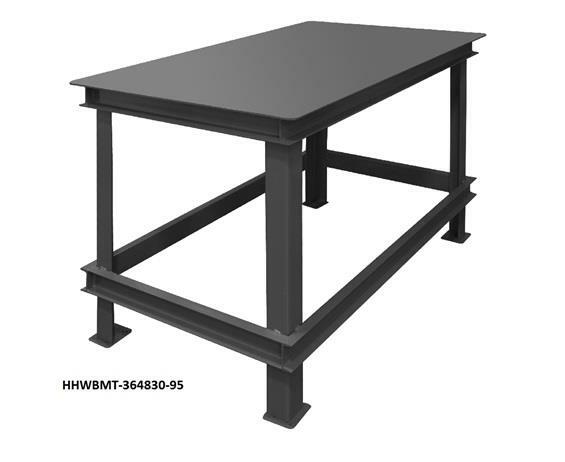 Provisions for optional shelf and drawer model H177-DRAWER-95. 4 x 4-1/2" foot pads with pre-punched holes allow lagging to the floor. 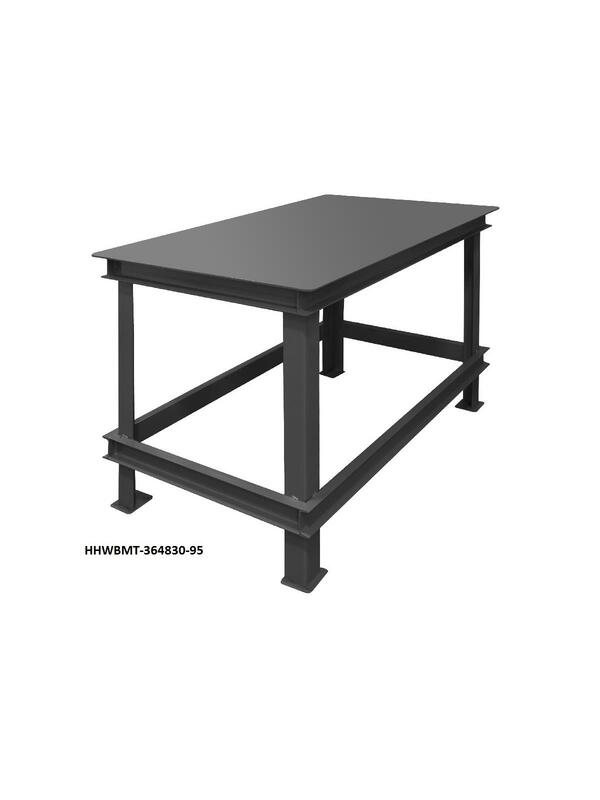 See Related Items tab to order Drawer for Durham Work Benches. 60 x 36 x 24"60 36 24"